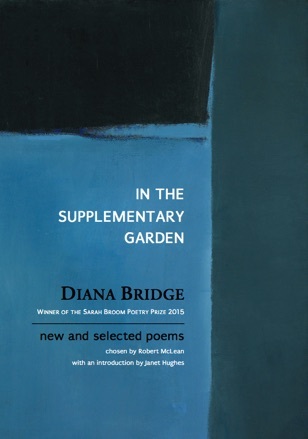 Last week I went to the Unity Books launch of two poetry books elegantly published by Cold Hub Press: Michael Jackson's Walking to Pencarrow, and a collection of new and selected poems by Diana Bridge. Harvey and Diana had a strong bond. She lives close by, and visited him here in his last years. 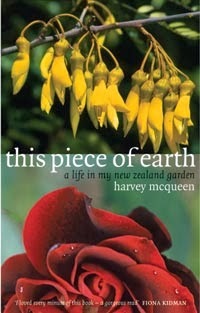 When she phoned to invite me to the launch, she told me that the new book included her poem for Harvey. So I went, and wore my Chinese jacket in her honour. But I hadn't quite realised how significant an evening it would be. In her speech, Diana said how pleased she was that, as Harvey's widow, I was there. Then she read the book's title poem, "In the Supplementary Garden". It was the poem in memory of Harvey. I should have remembered it from six years ago. In May 2010, Mark Pirie had put together an issue of Broadsheet: new New Zealand poetry (No.5), which featured an interview with Harvey (by email, because of his declining health) and six poems by him, along with poems by Mark himself and another five friends of Harvey's: Fiona Kidman, Ian Wedde, Paul Hill, Michael O'Leary - and Diana Bridge, who contributed "In the Supplementary Garden". I was deeply moved that she chose it as the title poem for this collection, adding his name on the page, and as her reading for the launch. It's so strikingly appropriate for him, as poet, gardener, and friend, "nearing the end of his journey". He died seven months after it was first published. see that and, like the Immortals, you could soar anywhere. a glimmering whole in a wondrous conversion of things. flowers glide apart – they'd have us think forever. that the curtain must come down on all performance. The afternoon has deepened, burnished as though by elegy. figured on a symbol from who knows how old a past. It's acceptable – it may be better, even – that it doesn't last. 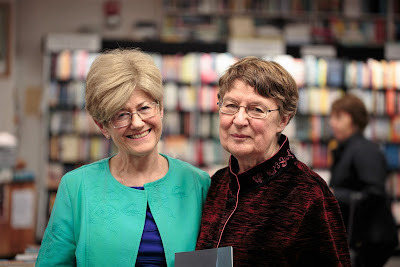 Diana has published five books of poetry with Auckland University Press. In 2010 she received the Lauris Edmond Memorial Award for her distinguished contribution to New Zealand poetry. Her essay “An attachment to China” won the Landfall Essay Competition for 2014. She has a PhD in Chinese classical poetry from the Australian National University, has studied and researched Chinese language, literature and art history and early Indian art history, and is the first foreigner to have taught in the Chinese department at Hong Kong University. In 2015 she was invited to take up a residency at the Writers' and Artists' Colony at Yaddo in upstate New York, the first New Zealander since Janet Frame to go there. She also won the 2015 Sara Broome Poetry Prize. IN THE SUPPLEMENTARY GARDEN has selected poems from Diana's five previous books, along with 23 new poems, the last of which is the title poem. Poems chosen by Robert McLean, with a superb introduction by Janet Hughes. What a beautiful and touching poem, & that it is the title poem of Diana's book. Nice to think of this sharing a launch with my brother's book also.